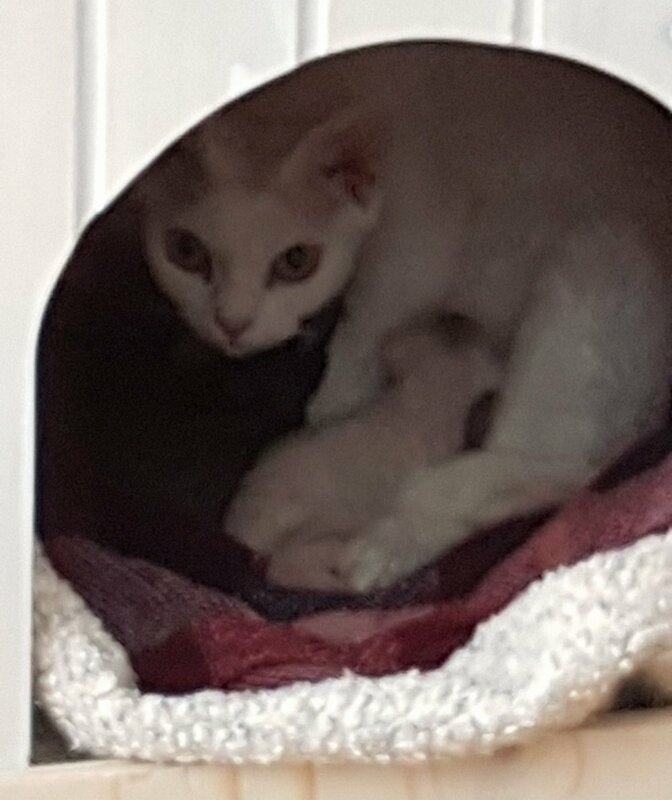 Today Rogus LilyoftheValley became a proud mum of four lovely kittens, two chocolate boys, one white boy, and one white girl, sired by Kermalu Ted Baker. All are doing really well. Today Rogus Morganna (Jenny Wren) gave birth to two lovely little kittens, a gorgeous blue silver tabby male and a seal darker points female, sired by Rogus Harvey Moon. All are doing well. Today Harvey proved himself by siring his first litter. By the look of his picture he's one proud boy! Today Rogus LilyoftheValley was made up to Grand Champion. Rogus LilyoftheValley had an amazing day beating all other entries at the CRAOV 2016 to be awarded Best in Show. Milly Moon has another litter consisting of one blue-eyed white kitten called Rogus HarrietinaHurry (Frankie). Frankie has literally made big waves with her pristine waved coat and stunning blue eyes - very alluring. Today Rogus LilyoftheValley was made up to Champion. Today Esperanza Milly Moon gave birth to her very first litter. 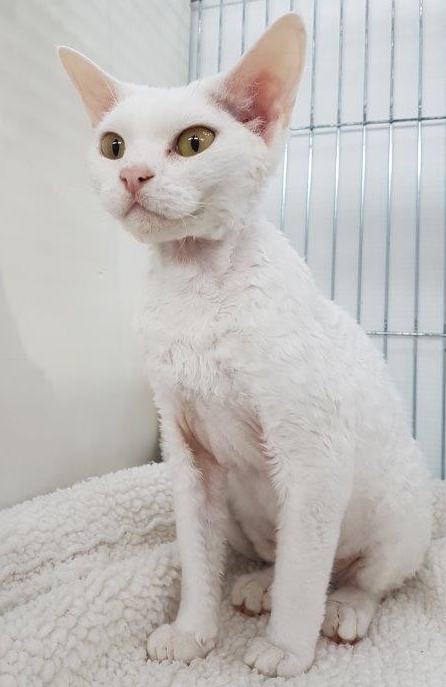 She coped very well, and produced 4 kittens, 2 whites, 1 blue, and lilac cream tortie.